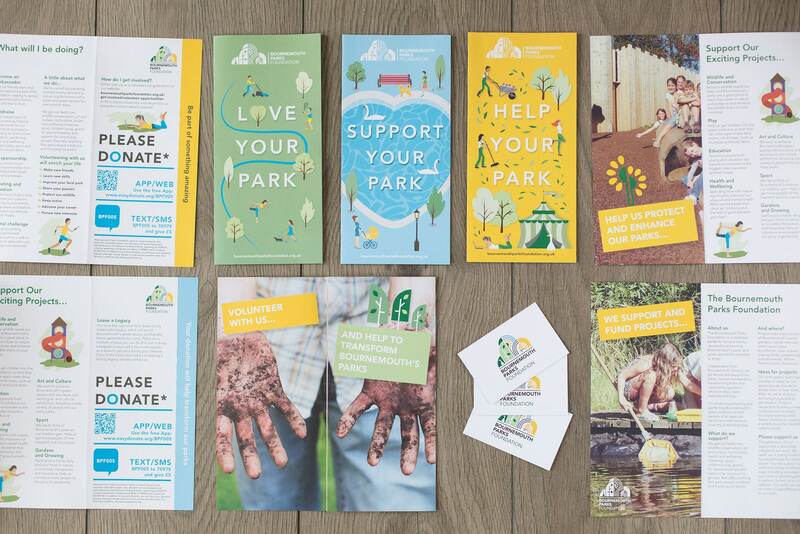 The Journey with Bournemouth Parks Foundation. 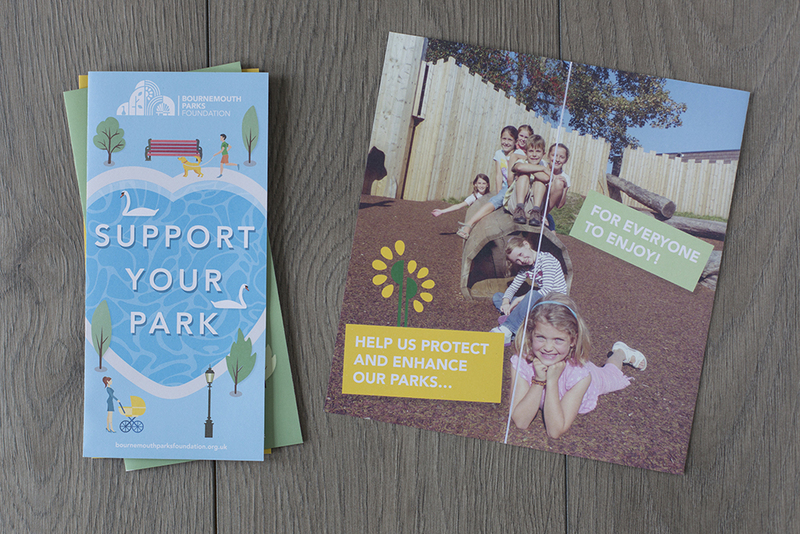 Bournemouth Parks Foundation is a registered charity formed to generate sponsorship for Bournemouth’s parks and green spaces over and above the funding received from the Council. 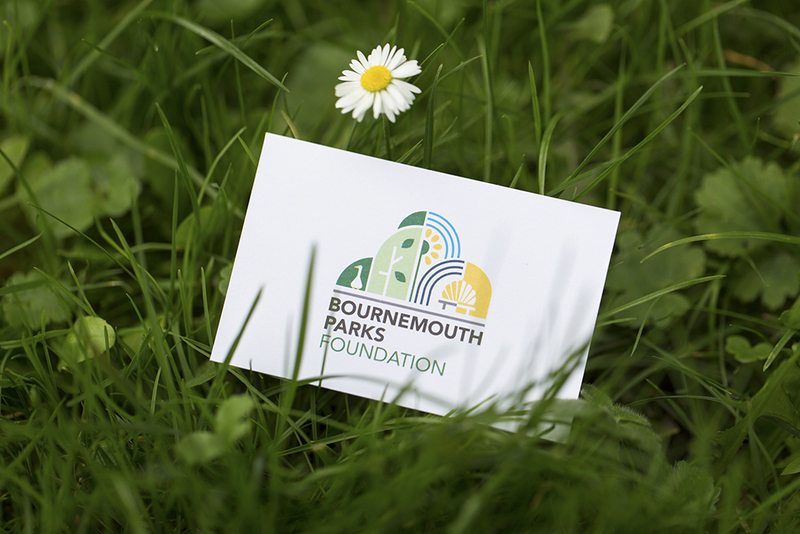 Registered in March of 2015, Bournemouth Parks Foundation charity required the creation of a logo and brand identity. 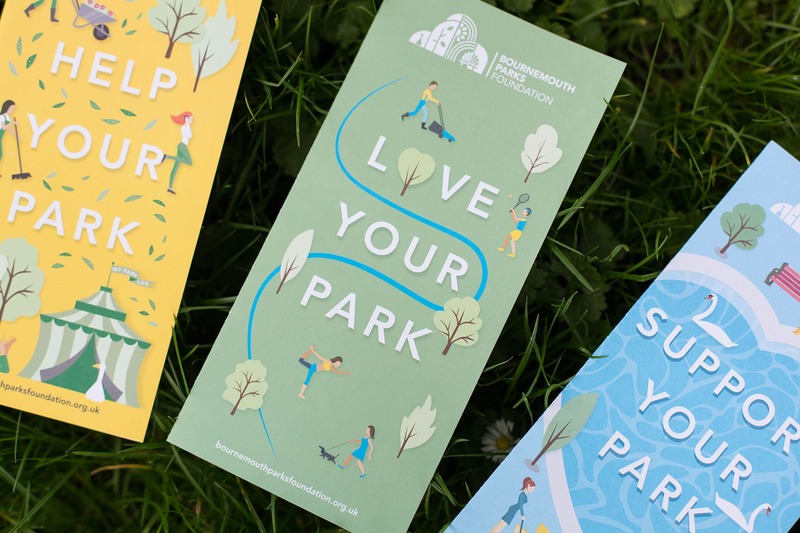 The new identity needed universal appeal, encouraging everybody to enjoy and benefit from the green spaces in the Borough of Bournemouth. After the initial creation of the logo and brand, we then rolled out a suite of literature including stationery, leaflets, banners and posters. The end result was a colorful logo that had a strong Art Deco influence reflective of the architecture of the area. The various facets of Bournemouth park life were represented visually. 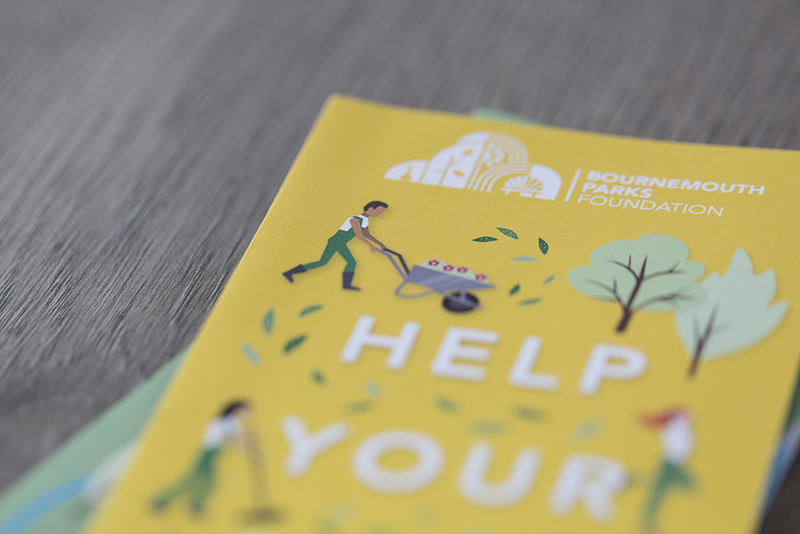 The three leaflets had separate messages aimed at different sectors of the public; one to give general information about BPF, one to request donations and the third leaflet calling for volunteers. The core message was to encourage the public to help protect Bournemouth’s parks, either by volunteering to help or by donating money. 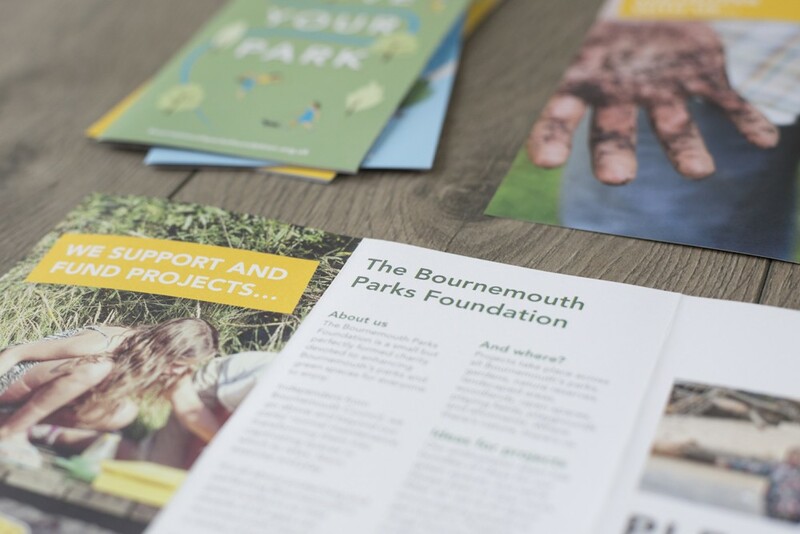 The secondary message was to promote the benefits of spending time outside, getting to know and enjoy the green spaces managed by Bournemouth Parks Foundation.